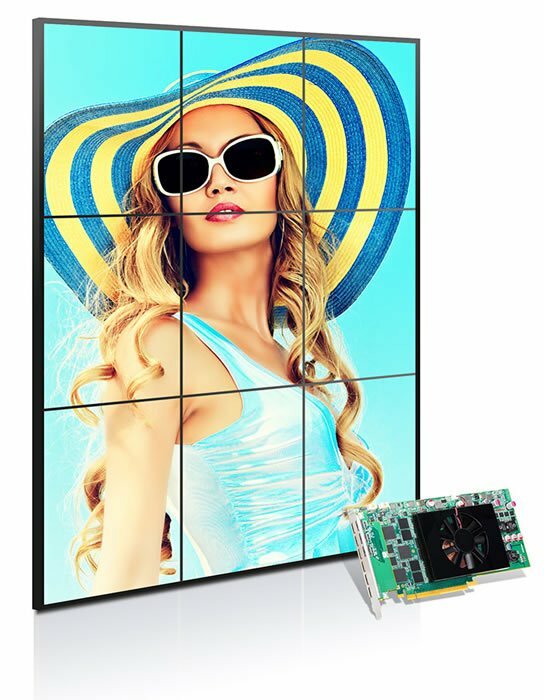 The award-winning Matrox C900 is a single-slot, PCI Express® x16 graphics card that drives nine, six or three displays or projectors at resolutions up to 1920×1200 per output. 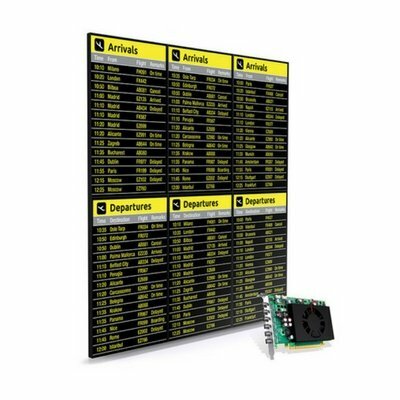 A special-purpose card designed to power 3×3 or 9×1 video walls, Matrox C900 runs in stretched desktop mode and delivers a single, ultra-large surface across all attached displays, ideal for digital signage, presentation, and video wall applications. 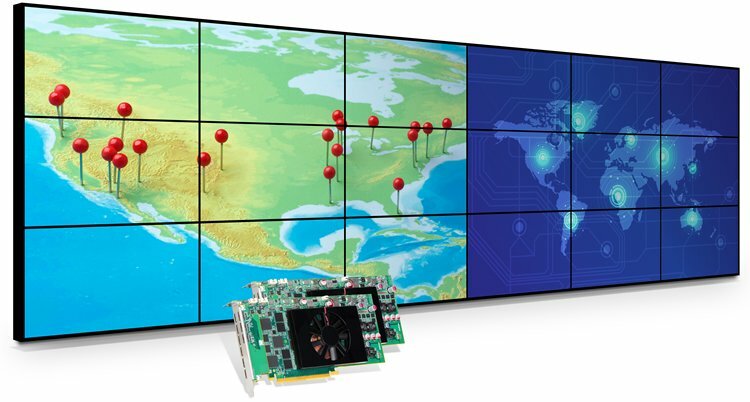 Combine two C900 cards to drive 6×3 or 3×6 video walls from one system, with the board-to-board framelock feature ensuring all displays are synchronized to reduce tearing. 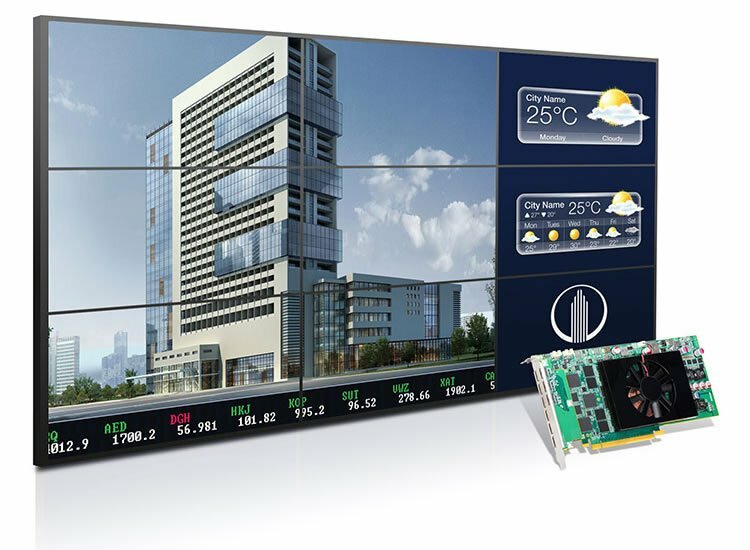 Matrox C900, with its high reliability, outstanding performance, and low-power consumption delivers a cost-effective video wall solution for enterprise, industrial, pro A/V, digital signage, security, control rooms, and more. 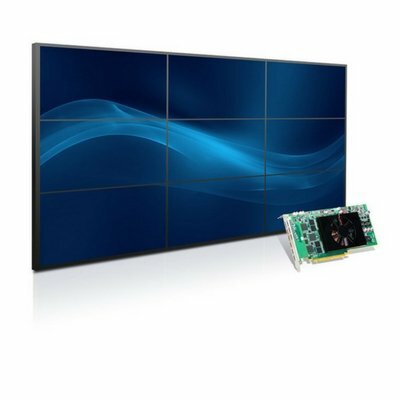 1 All displays must run at the same resolution in stretched desktop mode. Maximum horizontal resolution cannot exceed 16K under Windows. 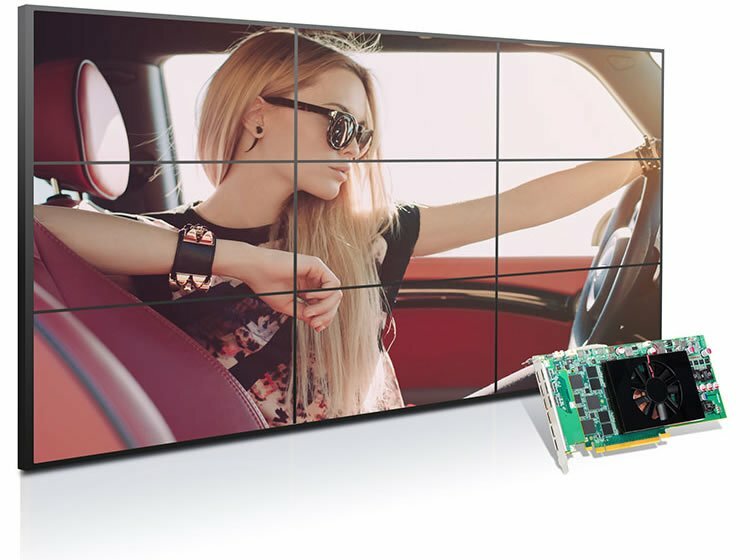 2 Stretched desktop mode available across displays attached to one card. 3 Available only under Microsoft Windows operating systems. 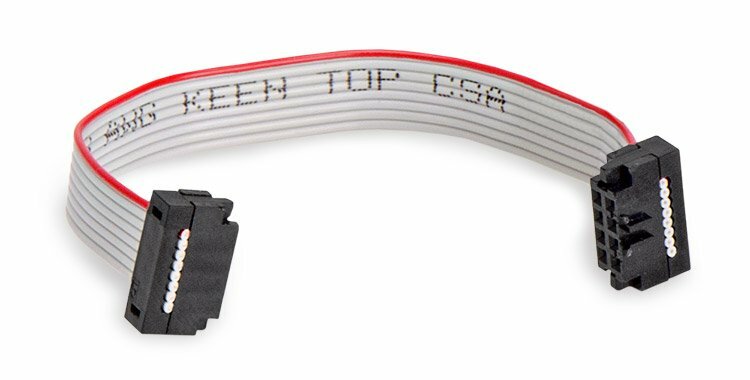 Requires framelock cable (CAB-FL-F), sold separately. 4 Available only under Microsoft Windows operating systems. 5 Linux support coming soon.